PortSide Director Carolina Salguero is on the Red Hook committee of the NY Rising "Community Reconstruction Program" (CRP) resiliency planning process. She has encouraged the committee and consultants to consider several aspects of Red Hook's waterfront in terms of emergency preparedness/recovery and economic resiliency (the latter being close to what used to be called community revitalization around here). Lately, the Red Hook committee of the NYS long-term resiliency planning process “NY Rising Community Reconstruction Program” or CRP has been discussing Red Hook’s waterfront a lot via email, conference call and committee meeting. 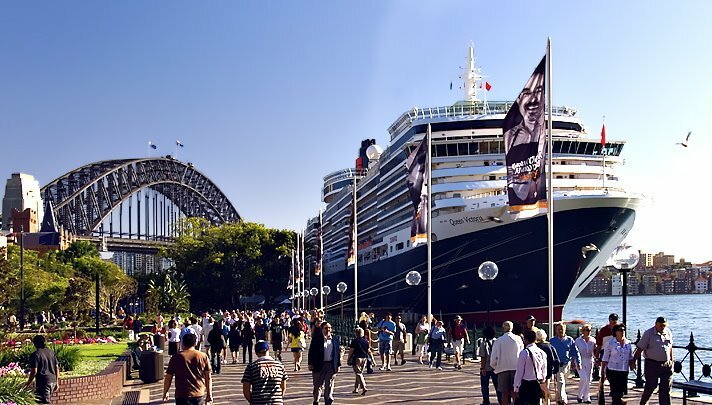 Committee member Adam Armstrong, a Pioneer Street homeowner and blogger of View From The Hook, shared his 2009 blogpost comparing Sydney Australia cruise terminal and waterfront to Red Hook’s. There is also a good comparison in Portland, ME, a place closer to use (we can visit to understand) and more likely to share regulatory and funding similarities with us. My mother, brother, his 2 tweens and I sailed into Portland in August 2012 on a 45’ sailboat my uncle built and brother designed. Here are my impressions of a brief stay from 6pm to 11am. In that short time, we used 2 moorings, got permission over the marine radio to tie up at the shipyard next to the travel lift to get breakfast at the diner, and spent 2 hours on the free town dock to buy groceries and ice. There were no permits involved, no vetting of our insurance by anyone. This is how coastal New England works. The cruise terminal is in an old part of town which has a few things in common with Red Hook: a main street of Victorian, low rise buildings, some legacies of prior urban blight which in their case had their voids be big parking lots a block or so inland of a Victorian commercial main street. Their working waterfront was very active with workboats of many sorts, ship repair with a large travel lift, fishboats unloading, chandleries supplying workboats and was a just a half block behind the main drag (and not fenced off). There was a high end marina in the strip and a bunch of condos nested in that. There was a government-run pier with fire boat, ferries (including the mail boat to small islands), a homeport for historic vessels providing day sails (“headboats”), and a town dock with free dockage. Btw, There were no fences around their finger piers despite their very high tides and a some 20’ drop to the water at low tide. Maritime activities, diners for the blue collar locals and destination retail catering to cruise tourists were cheek by jowl. The cruise terminal anchored one end of the main drag and the historic main street was clearly an attraction for it. Yes, that section of Portland had more grand commercial buildings than does Red Hook (we lost our Carnegie library), but the key thing to me is how integrated all the components were in a very small space (essentially a ribbon along the water) and how similar some of the retail nodes were (the fruit and veg place with it’s link to local farmers comes to mind) and that there were similar whiffs of the hip, the alternative, and the artist." 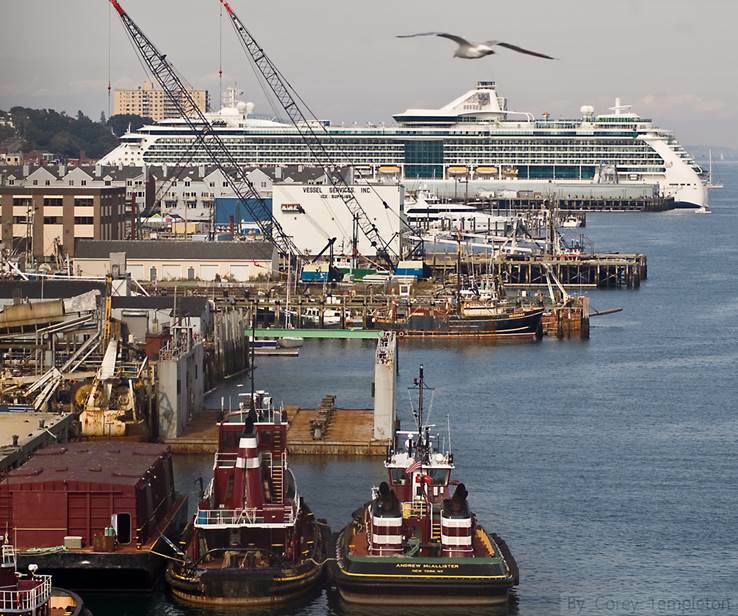 Here is some info culled from the web about Portland, Maine. "It’s the biggest city in Maine, a bustling urban center with a historic core. Old Port is chock-full of 19th-century brick buildings that now house chic boutiques, local shops, taverns, cafes, and trendy restaurants. Yet the former shipping and trading center, set on a peninsula poking into Casco Bay, still maintains its hardworking, unpretentious soul.